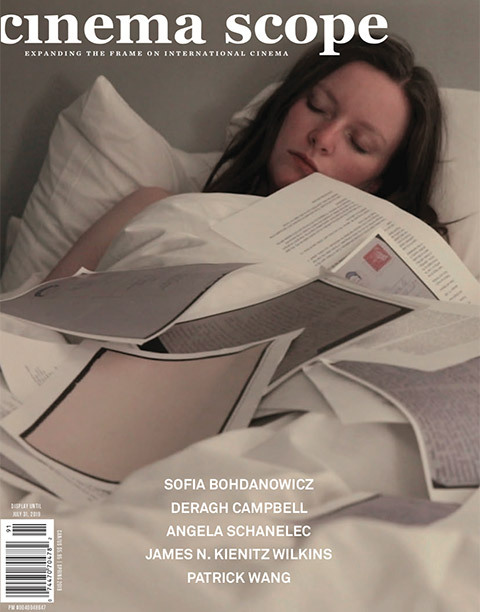 Originally published in Cinema Scope 63 (Summer 2015). a wide-ranging piece shot in the factories, the fields, the mines. An investigative film whose grand sets are the cities, the villages, the coast, the desert. A film like a mural, split into chapters, whose protagonists are the people and their union leaders on the one hand, and the oligarchy, its leaders and their connections with the government in Washington on the other. A film of analysis. A film about the masses and individuals. A fast-paced film vibrating with the energy of daily events, whose length is unforeseeable. Although Marker advised him that his ambitions were “insane”—which didn’t stop the older artist from sending Guzmán and his collaborators enough film stock to finish the project after their previous supply channels dried up—Guzmán embarked upon his task with both the energy of a convert and a clear-eyed attention to the complexities and pitfalls of political strategy. And while the titles of Guzmán’s more recent works—Chile, Obstinate Memory (1997), Nostalgia for the Light (2010), and now The Pearl Button—suggest wistful reminiscence, the films themselves vibrate with the same utopian revolutionary optimism, the same steely intelligence, and the same sense of urgency as The Battle of Chile. At the start of his career, Guzmán envisioned a film that would “vibrate with the energy of daily events”; now, he hovers over his films like a spectral, solitary presence, collecting evidence and excavating buried truths, fighting the same battle in the space of his country’s national memory that his comrades once fought on the streets of Santiago. Nevertheless, it’s hard to deny that Allende’s unlikely rise to power fired the hopes and imaginations of much of Guzmán’s generation. Having just graduated from film school in Madrid and returned home to Chile, Guzmán was a young man of boundless energy, fierce convictions, and a skeptical, undogmatic cast of mind. When he and his four principal collaborators first conceived The Battle of Chile—taking inspiration from the films and writings of Julio García Espinosa, Dziga Vertov, and Marker—they resolved not to make “an agitational documentary like almost all the films that were being made in Chile at that time.” The film would be fervent and impassioned, but it would neither elide the Left’s failures nor chide its viewers into agreement. Even as it documented the euphoric rallies and demonstrations in support of Allende’s government, it would study the internal quarrels and divisions within the worker’s movements that backed Allende’s Popular Unity party, and inquire into the causes of the assorted strike actions (first by the country’s truck owners, then by the underpaid workers at a major copper mine) that would help give the opposition the momentum to evolve into a coup. The camera in The Battle of Chile is darting, eager, and voracious, the images it captures possessed of a coiled intensity of focus (partly, no doubt, because the film’s economical guerrilla shooting methods prohibited retakes). Although much of the film is made up of bustling crowd scenes, there are moments in which the camera suddenly has a chance to move freely and indulgently through space. In one of the film’s most exhilarating passages, it glides liquidly alongside a young man pulling a rickety two-wheeled cart at a full-tilt run, while the upbeat Popular Unity anthem “Venceremos” plays on the soundtrack. Two decades later, in Chile, Obstinate Memory, Guzmán poignantly revisits that shot, its fleet-footed grace and plangent optimism now inflected by tragedy and sorrow: accompanied by the funereal strains of Beethoven’s Moonlight Sonata, it plays as part of a tribute to Jorge Müller Silva, a key cameraman on The Battle of Chile who was kidnapped by Pinochet’s secret police in 1974 and whose body was never recovered. Like his Argentine contemporaries Fernando Solanas and Edgardo Cozarinsky, Guzmán spent the ’80s living off and on in Paris as a de facto political exile. It’s telling to compare Chile, Obstinate Memory—a record of Guzmán’s return to Santiago to screen The Battle of Chile for teenagers born around the time of the coup—with Sunset BoulevardS (1992), Cozarinsky’s documentary about his own return home to a country scarred by years of state-sponsored terror and military rule. 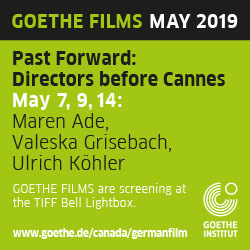 Both films are reunions, full of interviews with old friends and acquaintances, and both suggest a kind of disorientation or confusion on the part of their makers; their visual styles are oddly hesitant and tentative, as if Guzmán and Cozarinsky no longer know their way around their homelands after so many years away. Paradoxically, even as Guzmán became a living legend in his own country, his films grew increasingly speculative, exploratory, ambivalent, and self-questioning. Guzmán has never ceded his role as chronicler of his country’s suffering under the dictatorship—several of his mid-career films, notably In God’s Name (1987) and The Pinochet Case (2001), deal with the internal opposition movements that fought against the regime and helped generate the groundswell of public support that led to the dictator’s indictment for human rights violations in 1998—but in the last two decades he began to show other streaks in his work: personal, nostalgic, boyish, even fanciful. In Robinson Crusoe Island (1997), Guzmán explored the actual island on which Defoe’s novel (for which the filmmaker had a strong childhood passion) took place; in Madrid (2002), he made an affectionate tribute to one of the major cities in his life; and in the charming, relaxed, and surprisingly slight My Jules Verne (2005), he profiled explorers, daredevils, and scientists whose achievements remind him of some of the great French science-fiction writer’s canonical books, which he had devoured in translation during his childhood in Santiago. In Guzmán’s most recent films, the two sides of the director’s personality—call them Guzmán the fantasist and Guzmán the steward of historical memory—come intriguingly together. Where Guzmán’s films once sought to confront evil directly (most unforgettably in the famous shot in The Battle of Chile where an Argentine cameraman films the very gunshot that takes his life), Nostalgia for the Light and The Pearl Button place the heinous crimes of the Pinochet regime within considerably wider, even immeasurable contexts: natural history, interstellar space, geologic time. What might have been straightforward exposés become something quite different thanks to the films’ idiosyncratic structure, in which frank appraisals of Chile’s painful past alternate with dreamy, rhapsodic reflections on astronomy, space travel, and the wonders of the natural world. In Nostalgia for the Light Guzmán journeys to the Atacama Desert, where he juxtaposes the galaxy-scanning activities of the local observatories (which benefit from the region’s high elevation and clear skies) with the continuing exhumation of the bodies and bones of the regime’s victims from the desert sands. High-concept metaphors like these are risky, to say the least, but Nostalgia builds to an epiphanic force on the basis of precise, symmetrical contrasts: networks of dunes and systems of stars; examining planets through a telescope and looking through a magnifying glass at a shoe, a skull or a bone; the discovery of a distant nebula and the discovery of a tooth among millions of grains of sand. If these sorts of epiphanies come less often in the new film, it’s perhaps because no character in The Pearl Button has the same powerful presence as the two middle-aged women (the widow and bereaved sister of one of the “disappeared”) on whom Guzmán focuses in Nostalgia. But it’s also because the musings on the sea and the stars which recur throughout The Pearl Button have a tone of slack-jawed wonder and pseudo-profundity that Guzmán managed to rein in in the previous film. 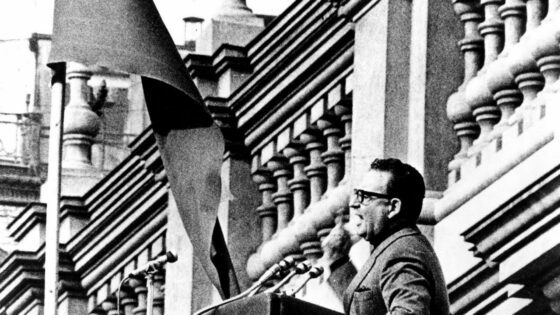 It may be curious that the 1973 coup that overthrew Allende happened to coincide with the birth of a supernova, but insisting on this coincidence, as Guzmán does at one point in the new film, does more to cloud the coup’s complex nexus of economic, social, and political causes than to clarify them. Explicating such causes, it should be said, isn’t exactly The Pearl Button’s intent. But simply put, it’s often hard to guess the purpose of Guzmán’s wispy reflections in this film—what they reveal about Pinochet, Allende, Guzmán, or Chile itself, and what concrete contribution they make to the director’s efforts to illuminate his country’s hidden past. If Guzmán’s predilection for naïve, wide-eyed wonder weighs down his recent films, it never eclipses the most striking feature of his work: the way in which dreamy musings and far-fetched speculations coexist with toughness, prickliness, and matter-of-factness. Guzmán has always been supremely attentive to the practical business of carrying out a complex task, be it a nonviolent revolution or a reign of terror. Whether attentively following a quarrel within a worker’s group over protest strategy in 1972, or, in 2015, reconstructing the process by which a body would have been wrapped, bound, weighed down, and summarily disposed of during the Pinochet years, Guzmán has always followed a method that nonfiction filmmakers everywhere would do well to emulate: look, listen, understand, reflect, and then—and only then—judge.